Kemi is a town and municipality of Finland. 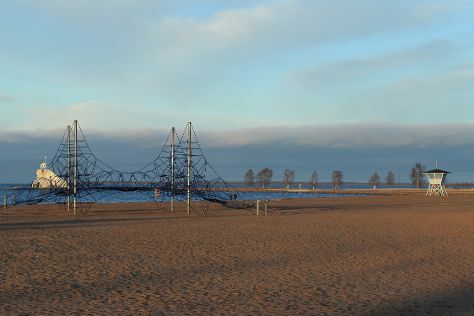 Escape the urban bustle at Nallikari Beach and Oulu Climbing Centre. Venture out of the city with trips to Oulu (Pohjoisen Valokuvakeskus, Toripolliisi, & more), Luovon Puoji (in Hailuoto) and Tornio (Duudsonit Activity Park - TornioHaparanda & The Provincial Museum Of Tornio Valley). There's much more to do: explore the world behind art at Kemin Jalokivigalleria (Kemi Gemstone Gallery), take an in-depth tour of Raahe Museum, explore and take pictures at Tatuka Palvelut, and pause for some serene contemplation at Haukipudas Church. To find ratings, more things to do, where to stay, and more tourist information, refer to the Kemi travel planning tool . In December in Kemi, expect temperatures between -3°C during the day and -11°C at night. You'll set off for home on the 20th (Thu).